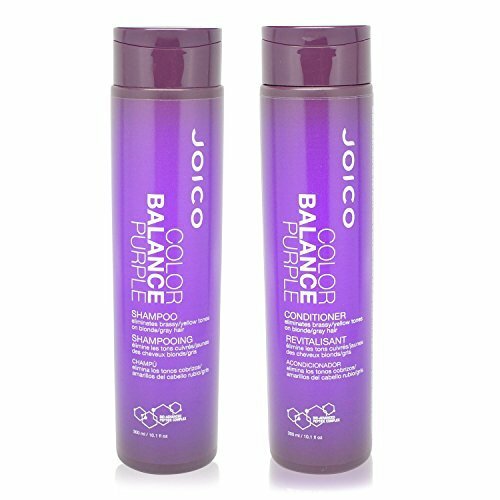 Joico Color Balance Purple Shampoo Plus Conditioner 10.1 oz. Product prices and availability are accurate as of 2019-04-16 19:36:12 UTC and are subject to change. Any price and availability information displayed on http://www.amazon.com/ at the time of purchase will apply to the purchase of this product. 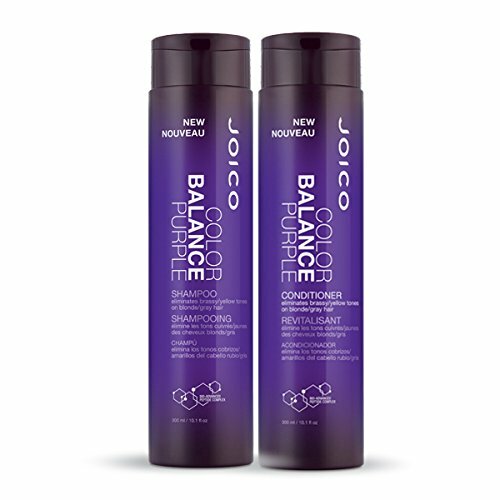 Shampoo Ingredients: Water/Aqua/Eau, Sodium Laureth Sulfate, Cocamidopropyl Betaine, Cocamide Mea, Ammonium Laureth Sulfate, Glycol Stearate, Pentapeptide-30 Cysteinamide, Pentapeptide-29 Cysteinamide, Tetrapeptide-29 Argininamide, Tetrapeptide-28 Argininamide, Camellia Sinensis Leaf Extract, Hydrolyzed Keratin, Cocodimonium Hydroxypropyl Hydrolyzed Keratin, Panthenol, Amodimethicone, PEG-7 Glyceryl Cocoate, Disodium EDTA, Citric Acid, Guar Hydroxypropyltrimonium Chloride, C11-15 Pareth-7, Magnesium Nitrate, Laureth-9, Glycerin, Trideceth-12, Ethylhexyl Methoxycinnamate, Ethylhexyl Salicylate, Polyamide-2, Butylene Glycol, Methylchloroisothiazolinone, Magnesium Chloride, Methylisothiazolinone, Dmdm Hydantoin, Sodium Hydroxide, Sodium Chloride, Limonene, Linalool, Amyl Cinnamal, Fragrance/Parfum, Ext. Violet 2 (CI 60730), Red 33 (CI 17200). Conditioner Ingredients: Water/Aqua/Eau, Cetyl Alcohol, Stearyl Alcohol, Behentrimonium Chloride, Pentapeptide-30 Cysteinamide, Pentapeptide-29 Cysteinamide, Tetrapeptide-29 Argininamide, Tetrapeptide-28 Argininamide, Camellia Sinensis Leaf Extract, Hydrolyzed Keratin, Cocodimonium Hydroxypropyl Hydrolyzed Keratin, Amodimethicone, Bis-Isobutyl PEG/PPG-20/35/Amodimethicone Copolymer, Butylene Glycol, Cetrimonium Chloride, Cetyl Ethylhexanoate, Citric Acid, Dicaprylyl Carbonate, Disodium EDTA, Guar Hydroxypropyltrimonium Chloride, Isopropyl Alcohol, Lauryl Glucoside, Magnesium Chloride, Magnesium Nitrate, Pentaerythrityl Tetra-Di-T-Butyl Hydroxyhydrocinnamate, Polyamide-2, Polyquaternium-37, Polysorbate 80, Trideceth-12, Methylchloroisothiazolinone, Methylisothiazolinone, Linalool, Limonene, Fragrance/Parfum, Ext. Violet 2 (CI 60730), Basic Violet 2 (CI 42520).